As soon as I saw this style at Rebecca Minkoff’s Spring 2014 runway show I knew I had to re-create it! 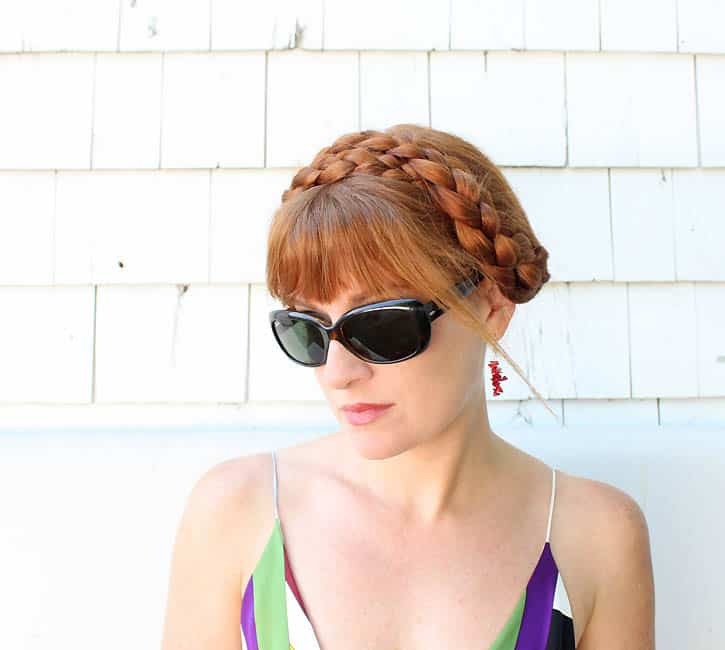 “Milkmaid” braids have been popular for a few years now, but I think using a 4 strand braid (instead of 3) makes it look fresh and more interesting. 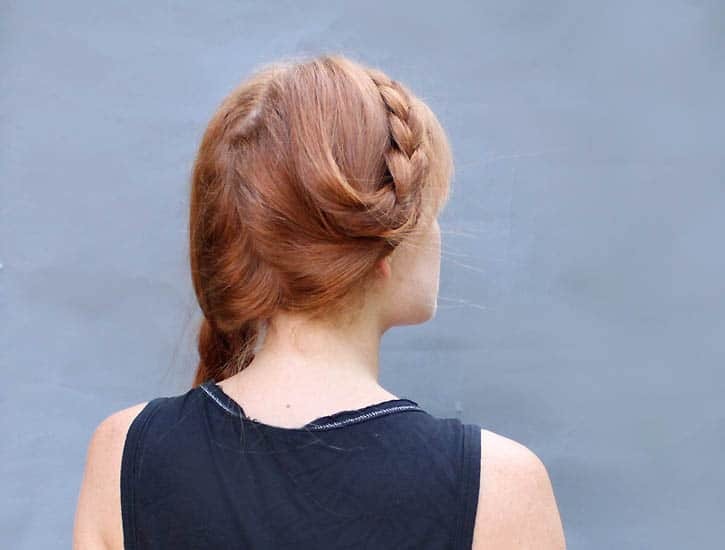 To learn how to make a 4 strand braid check out this tutorial. 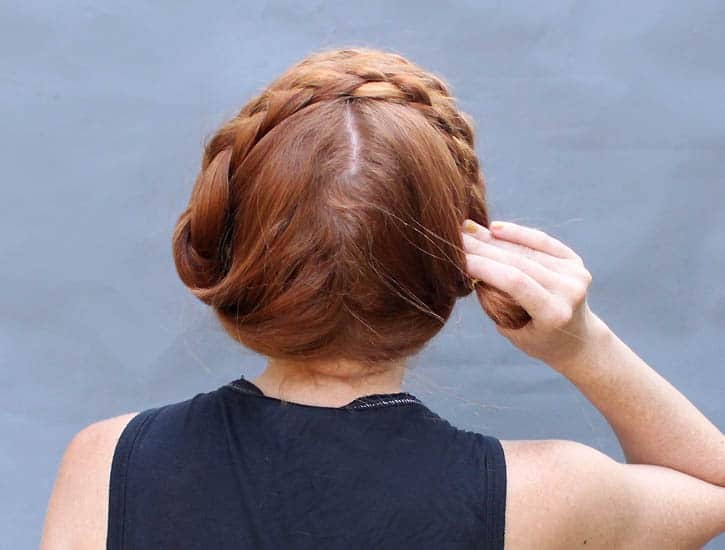 I can never get milkmaid braids to sit right 🙁 My hair is impossibly thick and the base of my braids stick out like Princess Leia buns. Do you have any tips on how to pin that part to make it stay in place and lie flat against the head? I can only use bun pins; bobby pins are utterly hopeless against my hair. 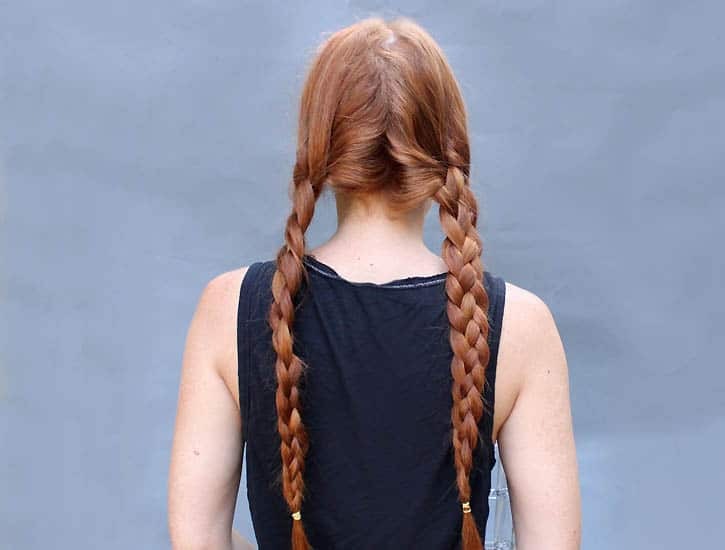 The 4-strand is a good idea though, it should result in a flatter, more obedient braid. For some reason your blog stopped appearing in my feed once you changed the name (although blogger displayed the new one in the reading list!). I'm so glad you're still writing! 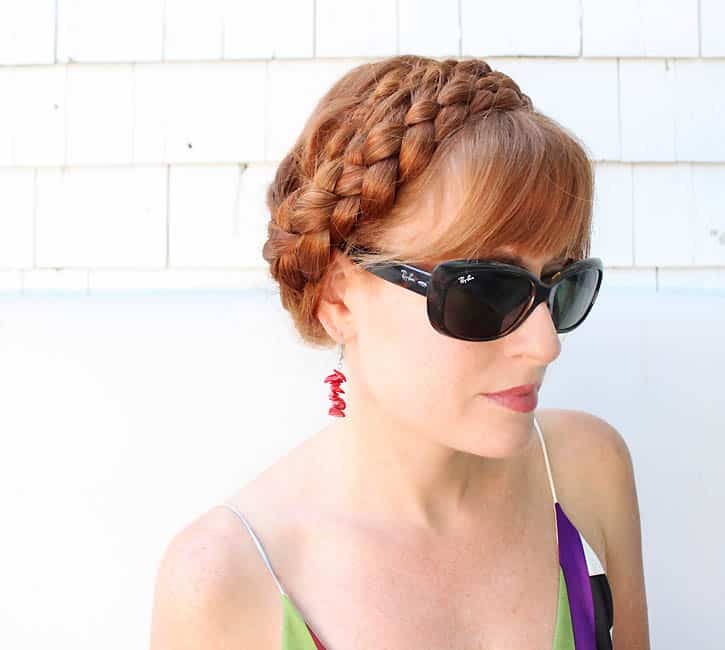 I came by to point out that you should change the 4-strand tutorial to the correct one "http://www.gina-michele.com/2011/10/4-strand-french-braid-tutorial.html&quot;, as the old link "http://www.rockmosaic.com/2011/10/4-strand-french-braid-tutorial.html&quot; doesn't work. Maybe there are other places where you need to update too, apparently they don't redirect automatically. Thank you so much for letting me know! I just fixed the link.